I have a new baby. And I am a man. But this site makes me concerned about taking any photographs with my genetic off-spring that might make it on the interweb. 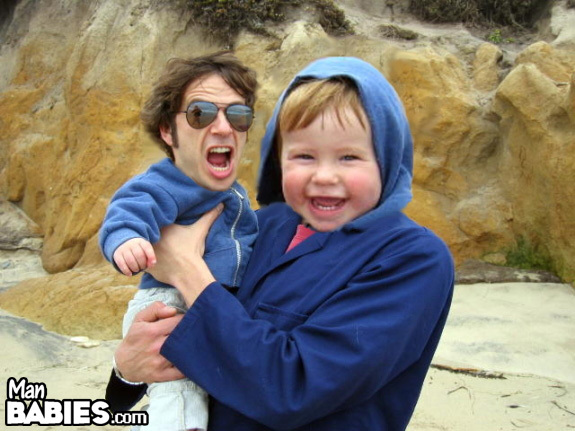 ManBabies.com show us a truer side of fathers, and the children we embarrass.